This was the phrase used by European Commission President Jean-Claude Juncker in an address to the Hellenic Federation of Enterprises (SEV) in June and the term is deployed frequently by MEPs and members of the EU’s executive branch in Brussels these days. Following decades of forward movement, growing prosperity and ever-deeper peace, the grand design of fostering cross-border cooperation through common institutions and united goals is facing an almighty test. After the eurozone crisis revealed flaws in the single currency’s architecture and a lack of vision among its leaders, a series of events have threatened to bring the whole structure down. The influx of hundreds of thousands of refugees from Syria and other war-torn countries posed an unprecedented practical and existential challenge, but several less prominent issues have also chipped away at the EU’s confidence, such as the uncertainty over the relationship with Russia, strong opposition to the TTIP trade agreement with the USA and the CETA equivalent with Canada, questions about the future of Deutsche Bank and Italian lenders. Without a doubt, though, the matter that is causing most head-scratching and soul-searching in the EU at the moment is Brexit. The decision taken by most UK voters to leave the Union in the June referendum has triggered fears that this is the beginning of the end. “We are running the risk of falling apart,” said European Parliament President Martin Schulz at the recent Future of Europe seminar. “I have no illusion about the EU as it is,” he added. Schulz insists that despite the fact the UK was a reluctant partner in the European project – so much so that sometimes it even gave the impression that it had been kidnapped and forced to become a member of a nasty gang – its decision to leave is a watershed. The UK is the second largest EU economy (possibly third after sterling’s value plummeted over the last few months), is a G7 member and has a seat on the UN Security Council. The inability to find a way to keep it within the Union is a resounding defeat for all parties. Apart from leading to the loss of such a significant member, the consequences of Brexit for the EU could lie in the strengthening of eurosceptic, nationalist and extremist voices within the EU. The main fear that those who want to see the EU prosper is that the result of the UK referendum will unleash centrifugal forces in Europe, just as Brexit was the spark for racist attacks and behaviour in England. Schulz says that some of the rhetoric heard in the EU today is like that of the 1920s and 1930s. “The result of such rhetoric is known,” he adds, pointing out that the horror of the Second World War led to the creation of the EU. The German politician holds up the fact that other European countries welcomed his country back into the fold just six years after the war, when West Germany was one of the six signatories of the Treaty of Paris for the founding of the European Coal and Steel Community, as an example of the spirit of reconciliation and unity that underscored the creation of the EU, and which today seems absent. The recent reversal in the EU’s fortunes has been just as breath-taking. Just 12 years after its last round of major expansion and seven years after the euro crisis emerged, a major power is leaving and nationalism is on the rise in France and Germany, the key drivers of European cohesion, as well as in member states that are relative newcomers. There is an overwhelming sense that the EU needs to reconnect with its citizens and rediscover its purpose to survive the buffeting from the polycrisis. One of the few figures in Brussels that does not appear pessimistic about the prospects of such a turnaround is Belgian MEP and leader of the Alliance of Liberals and Democrats in the European Parliament, Guy Verhofstadt. He says he has been around long enough to remember a time when the EU’s future came under even more intense scrutiny in the 1980s, when economic stagnation in Europe fuelled talk of “eurosclerosis”. The EU passed this test, according to Verhofstadt, because it implemented in 1992 the “fantastic idea” fathered by Jacques Delors of creating an internal (or single) market, which allows the free movement of goods, capital, services, and people. The former Belgian premier argues that this is what rekindled economic growth and belief in the European project. Today, though, there appears to be no equivalent idea. On the economic front the emphasis on structural reforms, which are often slow to deliver results, and restrained public spending continue to dominate, while attempts to push the envelope are compromised. For instance, the terms of the European Central Bank’s quantitative easing programme mean that it is bound to buy bonds according to the size of each country’s economy, thereby limiting the potential to provide relief in places where it is truly needed. 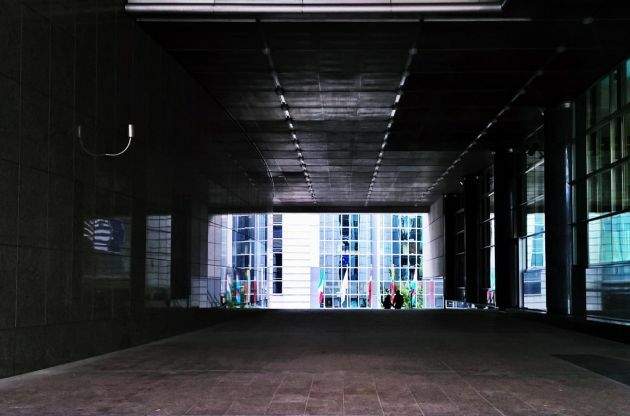 At the institutional level, a process is underway in the European Parliament aimed at “making the EU more responsive, effective and democratically accountable”. Three draft resolutions are being prepared. The first, by MEPs Mercedes Bresso and Elmar Brok, aims at making better use of existing EU treaties. It calls on heads of state to stop interfering in the legislative process, the adoption of majority, rather than unanimous, voting and for a greater role for national parliaments. The second, by Verhofstadt, advocates changes to the institutional set-up within the EU, leaving core EU members states to pursue closer integration, while granting others, such as the UK and Turkey, associate status. The third proposal, by MEPs Reimer Boge and Pervenche Beres, wants the eurozone to gain a budgetary capacity that would allow it to respond to shocks and tackle income inequality. Each of these draft resolutions has its merits but there must be doubts about whether the slow process of institutional change will provide the EU with the shot in the arm it desperately needs. One senses that what is required now more than anything else is political courage, especially in an EU where member states are trying to assert their authority. This became evident in the response to the refugee crisis, when there was a backlash from the so-called Visegrad countries to German Chancellor Angela Merkel’s policy of accepting migrants. German MEP Manfred Webber, who heads the conservative European People’s Party, speaks of “national egoism” being the cause of the EU’s current failures rather than the Union itself. He cites a lack of cooperation between member states on security issues, despite the recent terrorist attacks in France, Belgium and Germany, as another example of the breakdown in a process where common good was meant to trump exclusively national interests. It seems what Europe needs to overcome its current malaise is leaders that are prepared to resist domestic clamour and see the bigger picture, to break economic taboos, propose and deliver policies that enhance social justice, not allow welfare systems and workers’ rights to be driven into the ground, take on extremism, admit the mistakes that have been made and be brave enough to explain to voters that a common effort is needed. Saving it, though, might require some equally momentous actions from Europe’s decision makers. It seems to me that the EU is nothing more than a free trade zone. Any attempt to portray it otherwise is indicative of deep ignorance and a deliberate attempt at political manipulation.